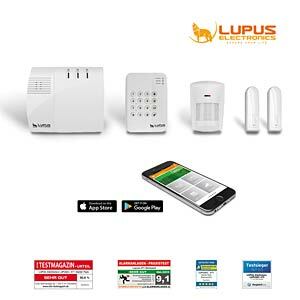 • Quickly and easily check the status of windows and doors or retrieve images from your LUPUS camera or recorder! • Extremely easy to install! 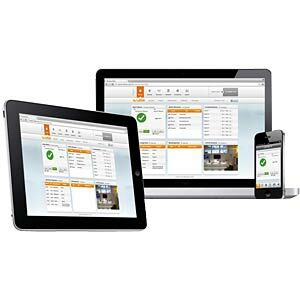 Quick to set up, easy to use and accessible from anywhere at any time — via computer, tablet or smartphone. 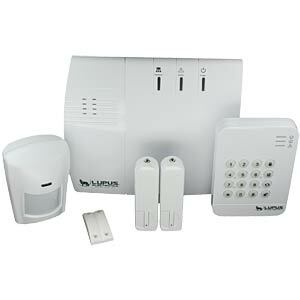 The LUPUSEC-XT1 is a true marvel of user friendliness and flexibility. The heart of this newly developed alarm system is the alarm control panel, only 80 x 155 x 43 mm in size, which is easily connected to your router via a network cable. 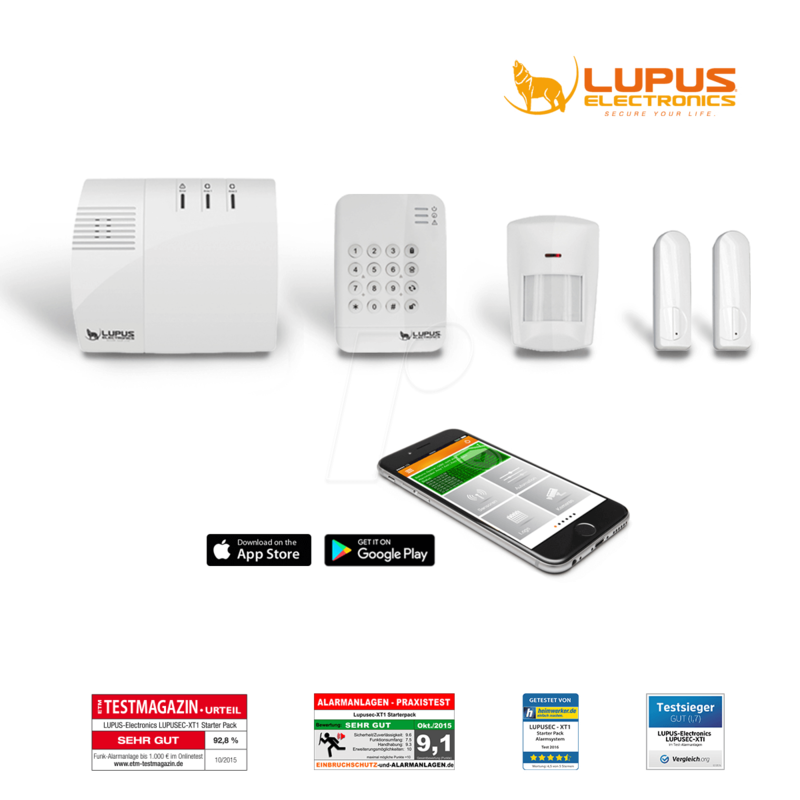 The revolutionary, clear user interface of the LUPUSEC-XT1 allows you to access all the functions and settings of your alarm system from anywhere with your computer, tablet or smartphone. Want to check the alarm status while you're away? Or switch the alarm system on or off? Or just check that all the doors and windows are closed? No problem: all it takes is a glance at e.g. your smartphone and you can enjoy the rest of your day in peace. 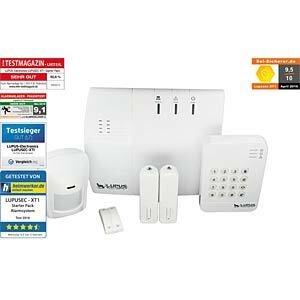 A large number of alarm sensors are available for the LUPUSEC-XT1 alarm system. So you can connect door and window sensors, motion detectors, CCTV, glass breakage detectors, smoke and fire detectors, gas and water detectors or temperature sensors to your alarm system with just a few clicks. 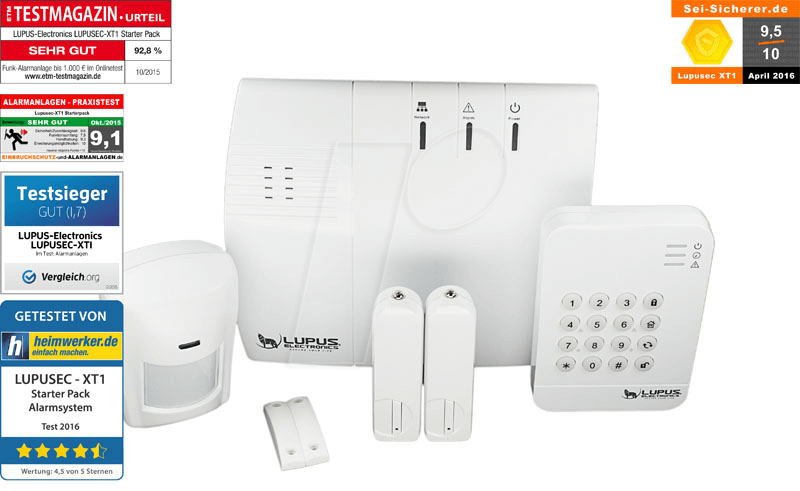 All sensors are connected to the alarm system via a sophisticated wireless system and reliably alert you when the status of a sensor changes. This also means that you do not need to lay cables for power or signals. Simply connect the control centre to your router, place the battery-operated sensors in the desired location and connect them to the control centre. Alarms can be sent via email, SMS or the global emergency call centre standard Contact ID protocol. If you have set up the appropriate services, you or your emergency call centre will be notified when an alarm is triggered. 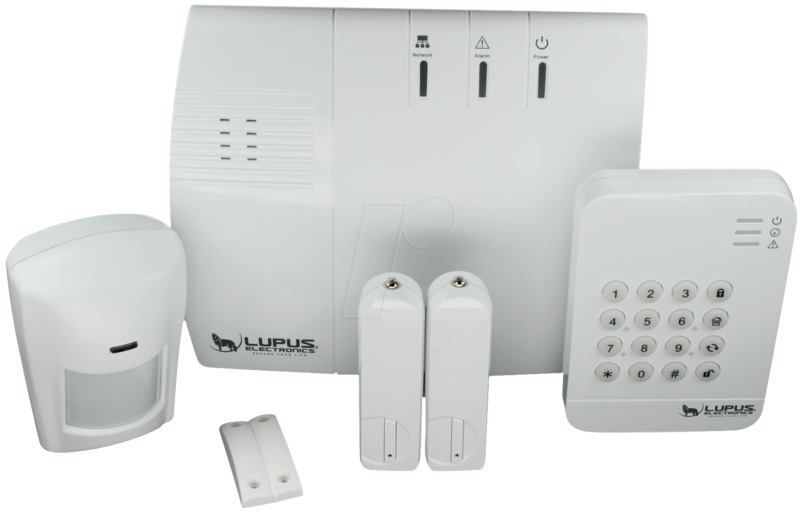 And, of course, you can easily integrate our video surveillance systems—such as IP cameras from the LUPUSNET series and recorders from the LUPUSTEC LE800 series—into the user interface of the LUPUSEC alarm system. 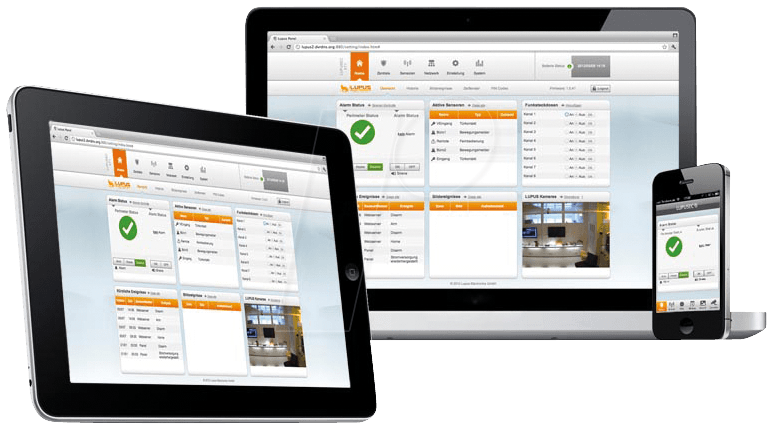 For example, you can immediately check the condition of your premises via video surveillance after an alarm. Simple, right? And secure! Guaranteed. Max. number of devices: 6, e.g. wireless relays, sirens, repeaters, ammeters etc.